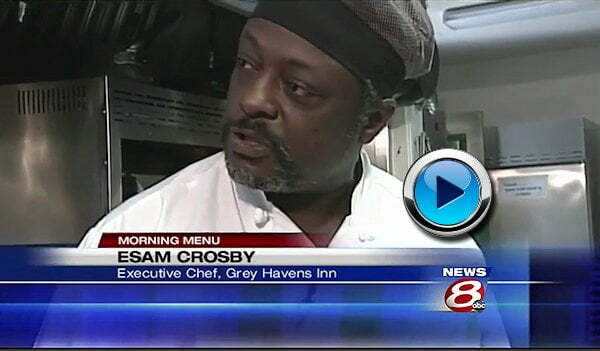 Esau Crosby, Executive Chef of our restaurant, “Blue” at Grey Havens Inn appeared on ABC-8 TV, WMTW Portland, Maine. In this segment of “Morning Menu,” hosted by Jim Keithly, Chef Crosby prepared local Maine white fish with roasted tomatoes and basil pesto from Grey Havens’ dinner menu. 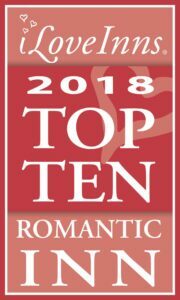 You can click the image below to watch the video on Channel 8’s website. (The video may be preceded by a short commercial.) Running time for the video is approximately 3 minutes.